Attempts to watch video online. The ad is exactly 15 seconds long. Tries to watch another video. The ad is exactly 24 seconds long. 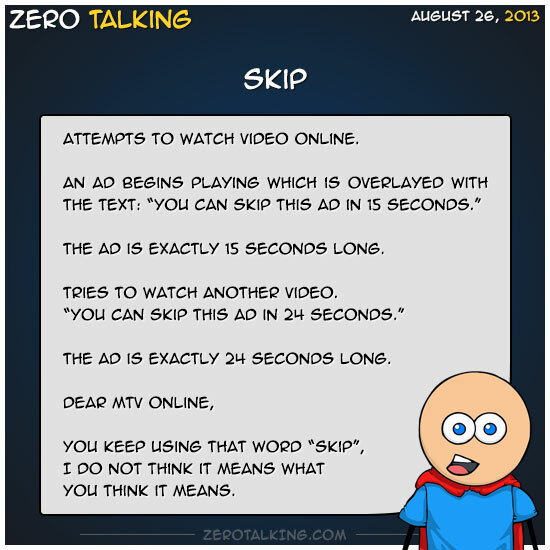 You keep using that word “skip”, I do not think it means what you think it means.